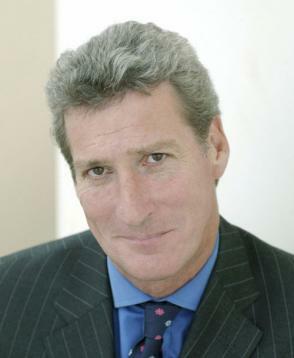 Hold your candidates to account and learn from the Paxman! Quote something that their party leadership has said or done (or even better, something they have done…for example voting records – see theyworkforyou.com). Keep hold of the microphone…let them finish and then point out they have not answered your question (which they probably will not have)…re-ask it in a simplified form and if necessary “do a Paxman” on them. Do you think its acceptable for your party to be in coalition with “anti-Semitic, xenophobic homophobes” (in the words of MacMillan Scott) in the European Parliament? If you do, because they share your belief that Europe should not be a “federal Europe”, can you explain why you will not sit with Nick Griffin MEP who also shares this view? Does you or your party still consider it acceptable for people to be discriminated against on the grounds of their sexuality? If you do not, will you champion a move to get your party to apologies for Chris Graylings insensitive remarks and ask for his removal from his current post? Can you guarantee your party will adopt policies to reach a 90% reduction in Green Houses Gases by 2050? If you can, could you outline how you plan to make such massive savings? In light of the new generation of nuclear power plants planning to be built by your government, can you explain to me what will happen to the issue of waste? Assuming you have an answer to that, could you explain to me why it has not been made public? Why are you pushing ahead with a biometric database using fingerprints, when fingerprinting is widely recognised as being inferior and less reliable to eye scans? Is your party putting money ahead of public safety? Will you apologise to the families and friends of the hundreds of thousands of service men and civilians who have died in Afghanistan and Iraq? In light of the economic melt down in Greece, would you still advocate Britain joining the Euro? Do you support the EU’s drive to further its energy relationship with countries such as Iran, Turkmenistan and Nigeria, some of the worst human rights violators in the world? Should the EU put principles above its energy security? What are the economic conditions that are needed for you to implement your previous commitment to scrap tuition fees? Do we face a danger that this might be placed on a back burner? These are just a few questions plucked out of the dark…research your candidates and hold them to account.